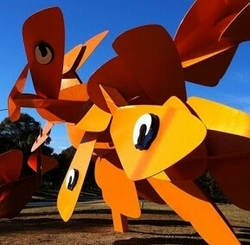 There’s nothing more important to us than the Canberra community. This is our home, and we love waking up with Canberra every morning. That’s why we’re honoured to be ambassadors for Pregnant Pause – a positive and empowering health promotion campaign everyone can take part in. At its heart, Pregnant Pause aims to raise awareness of Australia’s alcohol guidelines. Health professionals advise that for women who are pregnant or planning a pregnancy, no alcohol is the safest option. If you’re expecting yourself or know a mum-to-be – whether it’s your partner, bestie, daughter, aunt, colleague, or mate – you’re probably aware of how exciting, and possibly daunting, this time can be. Nine months, or 270 days, can seem like a long time to go without alcohol. And it can be challenging, especially when drinking and socialising often go hand in hand. But mums-to-be don’t have to do it alone! Just like getting fit, moving house, or going on a road trip, life is so much easier when you have the support of your family and friends. 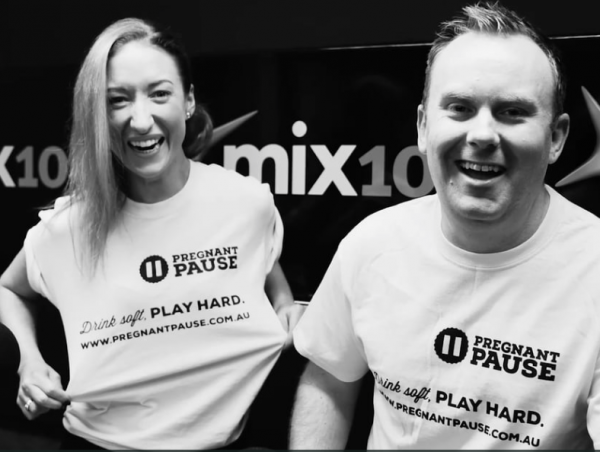 Pregnant Pause encourages Canberrans to make a pledge to take a break from alcohol during their own pregnancy or the pregnancy of a loved one. Pregnant Pause is about teamwork, giving newborn babies the best possible start in life, and building a strong support system for mums as they embark on this journey. Pressing pause on your usual wine or beer when you’re around a mum-to-be is a simple and considerate way you can make her feel included and supported. There’s nothing in the world we wouldn’t do to keep our children safe, happy, and healthy. And if that means pressing pause on a glass of wine for nine months, we can easily do it together! If you live in the ACT and sign up to take a Pregnant Pause, you’ll go in the draw to win a Club Lime gym membership. Take up the challenge and make the pledge to go alcohol free, by registering to take a Pregnant Pause today. I cannot think if anything worse than quitting drinking because someone else is pregnant. I’m all for supporting people and happy to do things that don’t involve alcohol when my family or friends are expecting, but that’s taking it a bit far in my opinion. Everyone knows not to drink when pregnant, they don’t need me giving up the booze too! Your body, your right; your body, your responsibility. until the whole community and additional resources are involved when your kid is diagnosed with learning difficulties and subsequently fasd…. The guidelines only exist because drinking at moderate to high levels (more than seven standard drinks in a week) and binge drinking are linked to FASD. There are no scientific studies that find that low levels of alcohol (ie, 1-2 glasses of wine, 1-2 times a week) have any impact on the symptoms of pregnancy or on the development of the foetus. It’s easier for campaign reasons to have a blanket ban on drinking, rather than note that exception. Many obstetricians state that the occasional drink is fine, even though the social stigma is at odds with that. It’s the same with caffeine – while high amounts are inadvisable, there are mixed messages with many doctors saying that 2-4 cups of coffee a day is within the appropriate amount. There’s also conflicting issues with which stage of the pregnancy alcohol can trigger the most harm; apparently, those actively planning on getting pregnant should steer clear of all alcohol, but many women binge drink before they realise that they are pregnant without undue effect. I’m not saying that all pregnant women should go out and get hammered, more that pregnant women shouldn’t be socially vilified and shamed for a couple of drinks. Did they just steal the census theme? Didn’t that go well! I don’t know about this campaign. It’s pretty well known that alcohol isn’t good in pregnancy, so for those who are still drinking during their pregnancy, there’s clearly more complicated things going on than an awareness campaign can address. It’s a bit simplistic. The time when alcohol is likely to do the most damage overlaps with the time women don’t always know they are pregnant, so it’s not ‘nine months’ – it’s all the time you’re trying to conceive plus pregnancy (and then breastfeeding). Drink driving….just don’t do it. Your future self will thank you.